The Fundraising Preference Service (FPS) has officially launched today in the UK following months of development and testing. The FPS has been established to give members of the public more confidence and trust in the sector and the charities they support. It is being operated by the Fundraising Regulator, the self-regulatory body for the fundraising sector which launched a year ago in place of the Fundraising Standards Board. The FPS allows members of the public to register with the service giving them the opportunity to make their own choices about the messages and fundraising requests they receive from charities. It will also give members of the public the option to opt out completely of communication from selected charities. An individual can enter up to three charities at a time that they do not wish to receive communication from by imputing the name and the registered charity number. The named charity will then receive a notification about the request and act accordingly. 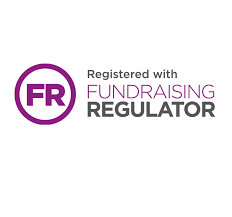 If an individual continues to receive direct marketing communications from a selected charity more than 28 days after submitting an FPS request, the Fundraising Regulator can be instructed to contact the charity.